A BIG volume waterproof mascara that delivers instant heart-stopping volume with up to 24 hour wear that lasts all night and even the morning after for your biggest, blackest, boldest lashes yet. Winner of Glamour magazine's '2019 Beauty Award' for Best Waterproof Mascara. 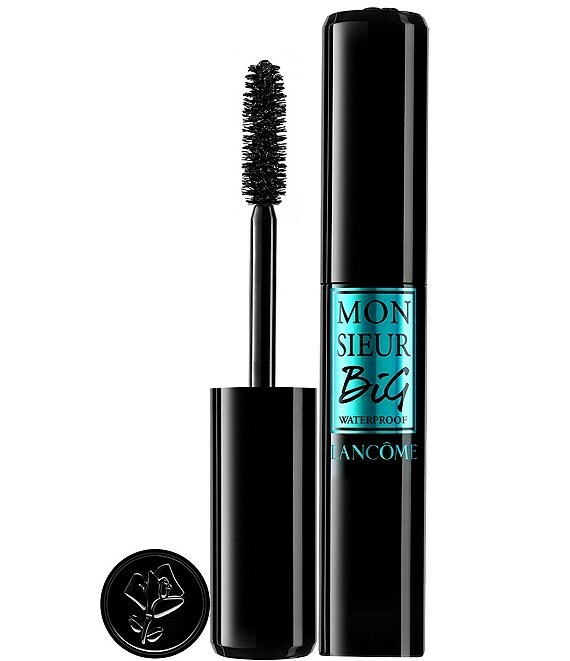 You'll know Monsieur Big Mascara is the one at first stroke. The BIG brush and ultra-creamy formula glides like silk onto lashes to deliver up to 12x more volume* with up to 24 hour wear. Monsieur Big's brush has a unique shape with soft, wavy fibers to deliver the perfect amount of formula with the very first stroke. His ultra-creamy formula has supple waxes and polymers to adhere immediately to lashes for BIG, build-able volume and length. Apply one coat and you will see why Monsieur Big is the one. Keep applying and you'll forget all the others. To take Monsieur BIG to the next level prep your lashes with Cils Booster XL lash primer. Remove all traces of your BIG night out with Bi Facil double action eye remover.